Greensboro, NC is an eclectic southern city full of things to do. When your sister was in town last weekend, you took her on a downtown art gallery excursion. The weekend before that, you and your husband went to a Greensboro Grasshoppers baseball game. Yesterday, you and a group of your college friends took an afternoon tour of Tanger Family Bicentennial Garden. The gardens are beautiful this time of year. Unfortunately, the thick beds of black-eyed susans and sweet-smelling marigolds have sent your spring allergies into a tailspin. Now, here you are, wondering where to get allergy treatment in Greensboro that does not require a long wait or an appointment. An allergic reaction begins in the immune system, a network of cells, tissues, and organs that work together to protect us from infection. “If you have an allergy, your immune system mistakes an otherwise harmless substance as an invader,” the AAAAI goes on to say. 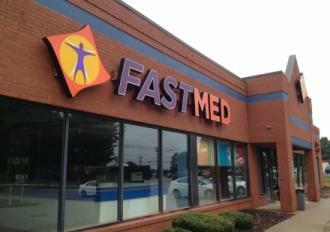 FastMed Urgent Care offers a wide range of services 7 days a week with or without an appointment. After your examination, if it is decided that you need to seek the expertise of a medical specialist (like an allergist), we can arrange the appointment and forward your digital medical records. Additionally, we strive to have every patient in and out within 1 hour and allow patients to fill out registration forms and other paperwork prior to your visit to save even more time in the waiting room. All of the clinicians at FastMed are highly trained professionals with extensive experience across the health care delivery spectrum, and our clinics have been awarded the Joint Commission’s Gold Seal of Approval for accreditation by demonstrating compliance with the Joint Commission’s national standards. If you would like to verify that your specific insurance plan is accepted, check out this complete list!